For the Game Boy Advance game, see The Lord of the Rings: The Two Towers (Game Boy Advance). For the mobile game, see The Lord of the Rings: The Two Towers (Mobile). For the unrelated MS-DOS game, see The Lord of the Rings Vol. 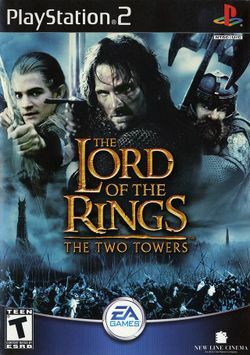 II: The Two Towers.